Switzerland is the perfect country for a real break, especially in winter. Be ready to discover some of the most beautiful landscapes, try different winter sports and have the time of your life. Explore the mountains, alpine lakes, green valleys, small villages and super cool cities. Far from the traditional image of yodelling in the mountains that some travellers might have, Switzerland is full of lively towns and cities to discover. If you are looking for some alone-time, you’ll be happy to explore the idyllic rural landscapes that captivated us through Johanna Spyri’s Heidi, one of the country’s best-known books. Switzerland is now a multicultural country, where rock music echoes in the streets and travellers visit from around the world. To make the most of your trip, whether you’re looking to meet other travellers, have fun or relax, we’ve listed some of the best hostels in the country. Perfectly located in the heart of Interlaken, this cosy place has local and multilingual staff, who are happy to share their best tips and places to visit. This hostel is perfect if you’re looking to meet other travellers in a peaceful atmosphere, with a beautiful garden and a big park nearby. Not to mention, the beautiful view on the mountains from your dorm window and the FREE breakfast every single morning. What more could you need to start your day? This awesome hostel is located in Bernese Oberland, in a modern building that kept its traditional Swiss architecture. You will be just a few stops away from the main sites, such as Lakes Brienz and Thun as well as the Bernese Alps. Be ready to wake-up with the beautiful view of the Eiger, Mönch or the Aletsch Glacier, from your bedroom window. This place will satisfy any traveller that is looking to get an adrenaline rush while paragliding, rafting or skiing. Did we also mention that the breakfast is FREE?! This cosy hostel is located in Nyon, between Geneva and Lausanne. It’s the ideal place to relax with your partner after a long day exploring the surroundings. Make sure to have a look at the cute garden, chill on the terrace or watch a movie on the comfy sofa in the common room. Sounds like a plan! Geneva Hostel is located in a quiet area, very close to the stunning lake, a must-see for any nature lover. It’s about 1 km from the city centre, in an idyllic location if you’re looking to completely disconnect. You can also hire a bike and explore the beautiful parks nearby. Enjoy the stunning view of the famous Mont Blanc from your bedroom, and don’t forget to try the FREE breakfast before exploring this region. Set between two crystal clear blue lakes and located at the bottom of the majestic Jungfrau mountain range, it is hard to beat The Balmers Hostel’s setting. But don’t be fooled by the apparent calmness of this landscape, you will definitely have fun and party hard in this awesome hostel. There’s a BBQ, outdoor terrace with a hot tub (OMG), cool bar where you’ll meet other travellers from around the world and a games room. You will have the time of your life. Hostel 77 Bern is heaven for travellers looking for a cosy and peaceful atmosphere. It is located at the bottom of the little mountain of Gurten. Make sure to enjoy the healthy (FREE) breakfast on the cute terrace after a good night’s sleep. Once you’re ready to explore the surrounding area, the friendly staff will be more than happy to help you and share their best travel tips to make the most of your stay. Youth Hostel Bern is worth the journey. Located in a modern building, you will be able to enjoy the cosiness of your private room. Expect big corner windows, comfy beds, reading lights and a cute table. The danger is that you might spend more time in your room than in the city. Make sure you do head out exploring, because there’s plenty to see, with the Federal Parliament Building and its 26 water fountains, the Bear Park, the Paul Klee Centre, the Einstein House and the arcades in the historic old town are all super close. City Backpacker – Hostel Biber is located in the heart of the beautiful and lively old part of Zurich. The most important sites and cool places to explore are just a few minutes away. Make sure to visit the beautiful churches, museums, the stunning lake and of course head to the famous shopping street, Bahnhofstrasse. You will also be able to enjoy Zurich’s nightlife; all the cool bars and clubs are just around the corner. Bern Backpackers Hostel is the most central hostel you will find in Bern. Its historic building is part of the city’s UNESCO world heritage area and it’s close to restaurants, cool bars and clubs. You will literally be in the heart of the action! After a day exploring this cute city, you’ll be happy to head back to this cosy hostel and chill in the common room. It will feel like a home, away from home. 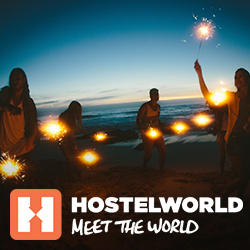 We hope the hostels we chose helps you to discover this beautiful country. Let us know in the comments if you’ve stayed in one of our recommended hostels, or if you’d like to share a hostel that you think other backpackers shouldn’t miss in Switzerland.